Welcome to ClerkNet. If you have not registered, please click on the New User Registration link below. 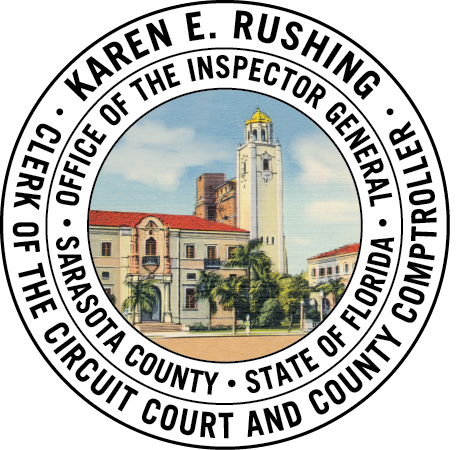 This will initiate your request for access to electronic court records in Sarasota County. Alternatively, you may select the General Public User Access link for immediate anonymous access. In March 2014 the Florida Supreme Court issued AOSC14-19 (superseded by AOSC15-18) that lifted the moratorium on electronic access to court records. This administrative order permits access to court records to members of the public who wish to search records anonymously and specific user groups that have completed the registration process. Access maybe restricted to certain user groups based upon Florida Law and Court Rules. Please refer to AOSC15-18 for additional information. A brief summary of the user group levels of access is provided below. All records except those that are expunged or sealed, automatically conifential under rules of court 2.420(d)(1), or made confidential by court order. No remote access to images of records in cases governed by he Florida Family Law Rules of Procedure, Florida Rules of Juvenile Procedure, or Florida Probate Rules, pursuant to s 28.2221(5)(a), F.S. If you wish to search court records anonymously, please select the “Click Here” link to the left. If you are already a registered user, please enter your user name and password in the boxes provided. If you have forgotten your password, please select the "Forgot Password?" link.